Lessons take place at your Home or my training room in Staple Hill. 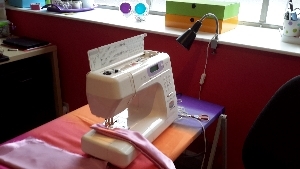 From being shown how to use a new Machine to how to make an Evening Dress, its all possible. Can't believe how time flies. 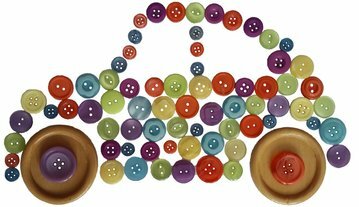 When filling out my tax return recently I noticed that I started as the "Mobile Sewing Tutor" in Sept 2009, and I've been at the current premises of Exhibition House for two and a half years. In that time I have taught many Pupils from youngster just starting out, assisting teenagers through their GCSE's and A level textiles, Gentlemen who don't find workshops suitable for what they want to learn, right up to my oldest pupil age 94, though that was more of a sewing session rather than a Lesson not much I could teach her more of refresh her memory. 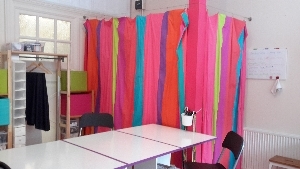 With the addition of the Training Room in 2015 it opened up my services to a wider audience and I have pupils travel from further afield to have their lessons here as well as pupils from Bristol, for some of you going out and leaving the distractions of Home behind is much preferred, while other prefer home or have disabilities than mean a home lesson gives them an opportunity not otherwise available. My Business has continued to evolve and I plan for it to carry on for many Years to come. 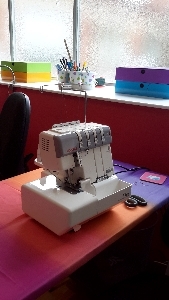 As of the 1st Oct 2015 the Mobile Sewing Tutor has a Work Space, She is a nomad no more! 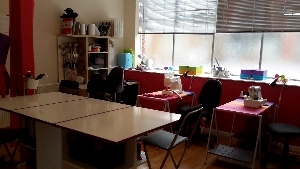 This bright and airy space with sewing desks, standing height cutting table,and changing area for fittings gives you the pupil more choice, you can have your lessons at my Work Space in Staple Hill, or if easier you can still have your lessons at Home and for anyone with limited mobility this is prefered as its a first floor office.